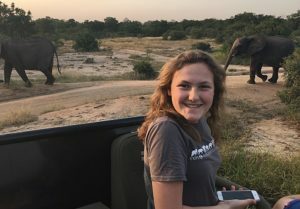 We continue with our Big Five series this week looking at Real Africa’s pick of the best places to see elephants while on holiday in Africa. The African elephant is one of the most majestic and beautiful animals in the world and one of the “must see” animals whilst on safari. African elephants live in the southern most regions i.e. sub-Saharan Africa but they can also be found in smaller numbers in the Central and West African rainforests. There are two main types of elephant sub species which is based on where they live. The vast majority of elephants in Africa are savannah elephants. These form the largest elephant subspecies in the world, and they live in the grass plains or savannah and bush in Eastern and Southern Africa. They can be found in Kenya, Tanzania, Botswana, Zimbabwe, Mozambique, Namibia and South Africa. About a third to a quarter of elephants in Africa are forest elephants, which is a different subspecies altogether. These elephants live in the Congo Basin area, but their population has suffered enormously from poaching and their numbers are rapidly shrinking. So here we go – our top five places to see elephants in Africa. These are in no particular order just our five favourites. This is where the Sheldrick Wildlife Trust bring their orphaned rhinos and elephants to care for. 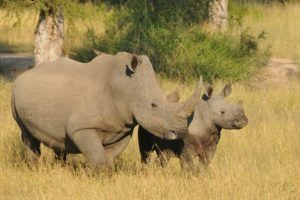 The rhinos and elephants are rescued usually at death’s door as their mother has been killed by poachers. The Wildlife Trust rescues animals and also rehabilitates them so they can return to a normal life back in the wild wherever possible. Visitors can see the keepers feeding and playing with the baby elephants and also make a donation to help with their upkeep and the Trust’s important work. 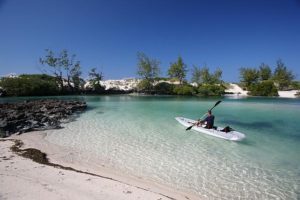 This is a great place for families to visit as it is an area on the south coast of South Africa that is malaria free. As its name suggests it is also an important wildlife reserve specialising in elephants. There is plenty of accommodation nearby offering a good choice and Addo can be visited as a day trip or as a longer safari destination. 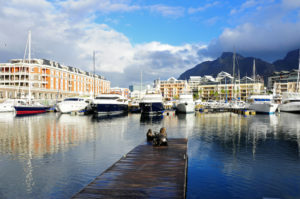 It can also be part of a self drive itinerary along the stunningly beautiful Garden Route or combined with a short break to Cape Town. This is a very picturesque national park in Southern Kenya on the border with Tanzania. This place is not as remote as some and can feel busy at times but it is also one of the best places to see elephants in Kenya. Mount Kilimanjaro makes for an awesome backdrop as elephants graze peacefully in the savannahs below. This is one for photographers and elephant fans alike and you are guaranteed to see lots of elephant herds here. The Etosha National Park lies in the vast arid space of Northern Namibia. It offers a different kind of safari and wildlife experience due to its unique landscape. Etosha actually means place of dry water and it is located in a huge, flat pan measuring around5,000kms2. The ‘Pan’ provides a great, parched, silver-white backdrop of shimmering mirages to an area of semi-arid savannah grassland and thorn scrub. The pan itself contains water only after very good rains and sometimes for only a few days each year. 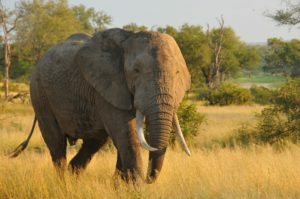 Etosha is surprisingly home to many different species including elephants. 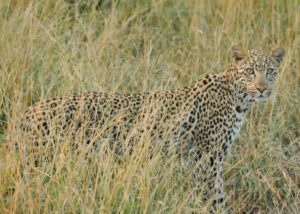 They are best spotted around the waterholes during the dry months from June to November. It is then that you will see large numbers of elephants congregating in the same place in their search for water. There is a reason why the Kruger National Park is famous and that is because of its sheer abundance of wildlife. 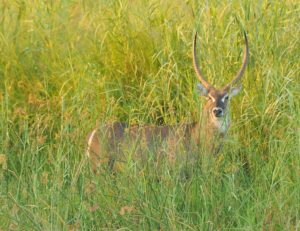 It is home to fertile and lush grassland that proves to be a wonderful habitat for many different species of mammals, birds and reptiles as well as a large number of big five game including elephants. 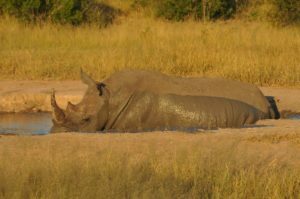 You can explore the Kruger National Park yourself on a self drive holiday and drive around the park under your own steam (although you must follow the park rules!). 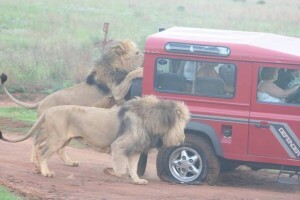 You can also book into a luxury lodge on a private reserve and let them do all the driving on twice daily game drives. Or if you are feeling even lazier you can often just watch elephants visiting the local watering hole whilst you sup your sundowner drinks from your very own viewing deck. Now that experience really is hard to beat! 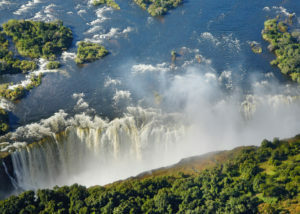 The Kruger National Park in South Africa is one of the world’s most famous nature reserves and it is justifiably one of the main attractions on South Africa’s tourist map. But what exactly is the Kruger National Park and where is it and why is it so important? 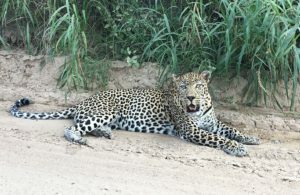 The Kruger can be found in north-eastern South Africa, relatively close to Johannesburg and its international airport making it an easy transfer time. 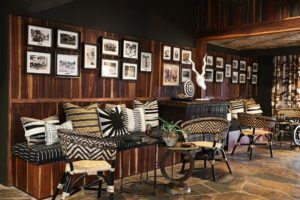 It was established in 1898 to protect and conserve the important African wildlife and the natural habitat of the African lowveld that is home to that wildlife at a time when South Africa was being colonised and development was rife. 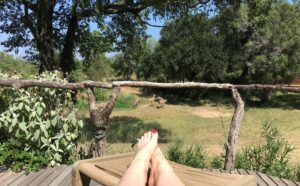 It covers almost 2 million hectares and it offers a wildlife experience that ranks with the best in Africa, so much so that its name is now synonymous with a great safari holiday. There are many other national parks in South Africa but the Kruger is the second largest and offers an impressive number of species: 336 trees, 49 fish, 34 amphibians, 114 reptiles, 507 birds and 147 mammals. It is also one of the best places in the world to go on safari and spot the Big Five i.e. elephant, rhino, buffalo, leopard and lion. 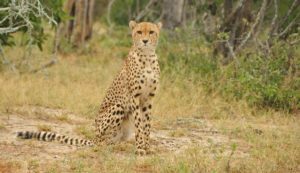 You are also likely to see hippos, cheetahs, baboons, giraffes, springbok, hyenas, waterbuck, wildebeest, zebra and if you are extremely lucky the very rare African wild hunting dog. The Kruger’s huge size means it encompasses a wide range of different landscapes and habitats including expanses of grassy planes, thorny woodland thickets that encircle rugged koppies, and to the east the imposing Lebombo Mountains, all of which is wild and untamed. 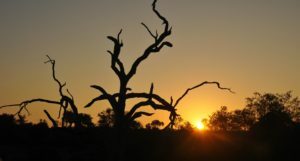 The Kruger is also a site of major historical and archaeological importance. There are significant numbers of excellent examples of San art in the famous bushman rock paintings and also some truly majestic archaeological sites like Masorini and Thulamela. There is also evidence of Iron Age man and artefacts dating back 1500 years have been found. These important treasures represent the ancient people that played a role in the early history of this part of the lowveld and in the Kruger National Park itself and they are now conserved along with the park’s natural assets. The national park is operated by SANparks but many tour operators both local and international offer holidays in the park. 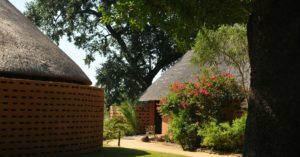 They run the twelve main rest camps set up in the Kruger Park such as the Berg-en-Dal rest camp which form the main basis of accommodation in the park for those on self-drive holidays. 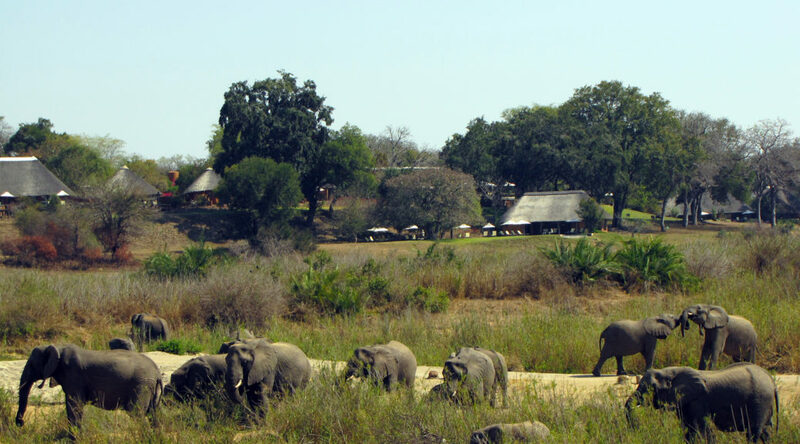 In each main camp there are usually different options ranging from basic camping through to self catering bungalows. 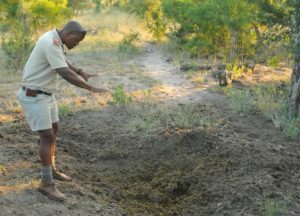 There are also various satellite camps and bush camps which are operated temporarily when the seasons are dry enough to be able to access them along dirt tracks. 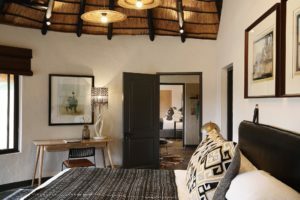 Around the periphery of the Kruger are many privately owned conservancies which also offer excellent and more upmarket accommodation from rustic eco safari camps to total luxury and style in beautiful safari camps cons such as Garonga.